Two days after it was announced that Mandy Patinkin would be returning to Broadway for a limited run in "Natasha, Pierre & The Great Comet of 1812," the Tony-winning actor has dropped out of the musical citing the public backlash and claims of racism that brewed on social media over his casting. Trouble started Wednesday when producers revealed Patinkin, a white actor, would be stepping into the title role of Pierre — cutting the previously announced nine-week tenure of "Hamilton" alum Okieriete "Oak" Onaodowan, a black actor, short by three weeks. Though the character was originally created by white singer Josh Groban, many critics — including Tony winner Cynthia Erivo — shot back at the show's producers on Twitter, claiming Onaodowan had not been given enough time to succeed before he was replaced by a bigger name and white actor. "Ticket sales shouldn't override a person doing his job," wrote Erivo. "I honestly am flabbergasted.... What I know for a fact is that Oak worked extremely hard for this. Which makes this occurrence distasteful and uncouth." Patinkin appeared to agree. Though Dave Malloy's electropop opera would have been the first Broadway role he had stepped into in 17 years, the "Homeland" star and theater legend still backed out. "My understanding of the show’s request that I step into the show is not as it has been portrayed and I would never accept a role knowing it would harm another actor," Patinkin, 64, told "The New York Times" via email on Friday. "I hear what members of the community have said and I agree with them. I am a huge fan of Oak and I will, therefore, not be appearing in the show." His departure leaves "Natasha, Pierre & The Great Comet of 1812" without a Pierre, as Onaodowan was scheduled to depart the production Aug. 13 and had told "The Times" he would not be returning despite producer's requests. Even worse? Creator Dave Malloy tweeted that without "a name" involved in the piece, the show was in danger of closing — no longer being able to attract the audiences it had when Groban was part of the cast. "The show was in desperate shape; sales...were catastrophically low," Malloy wrote, adding he hadn't considered the "racial optics" of replacing a black actor so quickly with a white actor. "I am not sure that the show has a future now." Sales had, in fact, dropped without Groban — going from roughly $1.2 million a week to $923,571 last week, according to numbers provided by the Broadway League. That may be enough to cover operating costs, but the show still hasn't recouped and is therefore still working to pay back its investors. Patinkin would offer a box office boost in a typically slow time of year on Broadway. Earlier this month, producers tried a similar tactic to some success — bringing in singer-songwriter Ingrid Michaelson to play Natasha’s cousin Sonya. She departs Aug. 13, when Brittain Ashford (who originated the role of Sonya and stepped aside for Michaelson's run) returns to the part. 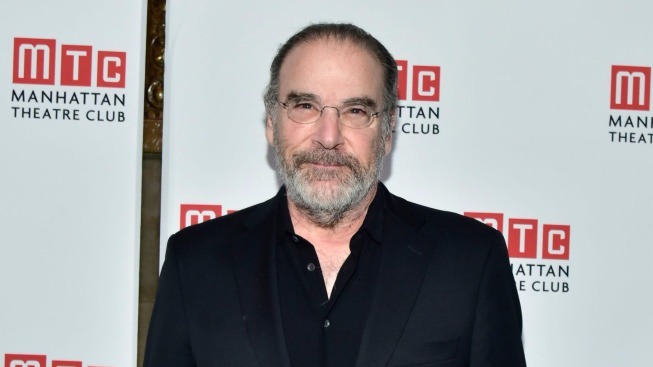 In a statement to NBC New York, producers apologized for how they handled Patinkin's casting. "As part of our sincere efforts to keep Comet running for the benefit of its cast, creative team, crew, investors and everyone else involved, we arranged for Mandy Patinkin to play Pierre," they wrote. "However, we had the wrong impression of how Oak felt about the casting announcement and how it would be received by members of the theater community, which we appreciate is deeply invested in the success of actors of color – as are we – and to whom we are grateful for bringing this to our attention." "We regret our mistake deeply, and wish to express our apologies to everyone who felt hurt and betrayed by these actions," they continued. On Twitter, they added: "We apologize ot Mandy Patinkin for any misunderstanding and understand his decision to withdraw from the show. We had the wrong impresison of how Oak felt about the casting announcement." "Natasha, Pierre & The Great Comet of 1812" premiered at the off-Broadway Ars Nova Theater in 2012, with direction from Rachel Chavkin and a cast including "Hamilton" star Phillipa Soo. The show moved to spaces in the Meatpacking District and Times Square between 2013 and 2014, and had an out-of-town staging at Boston’s American Repertory Theater. The musical received 12 Tony nominations — more than any other show this season. Earlier this month, Actors’ Equity awarded the show a prize for “extraordinary excellence in diversity on Broadway." For tickets and further information, visit greatcometbroadway.com.